The enduring impact of place-based experiential education. Connect deeply with the unique history, culture, economy, food and language of a particular place through project based learning. Understanding the people, geography and issues that shape local communities enables you to develop lasting bonds while learning about broader national and global issues. Join a group of 10-12 peers from across the nation and around the world and a trained adult Corps Leader. As a Corps member, you will learn from, struggle with, be inspired by and develop deep friendships with a wonderful group of talented students from across America and around the world. Every Student Diplomacy Corps program follows a comprehensive structure to ensure that you get the most out of your summer. Orientation – Engage in an exciting introduction to the host country to learn about your itinerary, health and safety concerns, and develop survival language skills. Participate with your group in community exploration exercises that build teamwork and cross-cultural competencies. The Seminar – Sessions will introduce you to the thematic core of the program. Presentations by local experts will be supplemented and reinforced by student-centered experiential activities that explore art, music, ecology, sustainable development, sports and languages of the host country. Family and Community Stay – Immersion during the Family and Community Stay enables you to improve your language skills, develop cross-cultural competencies, build friendships and connect deeply with your new community. 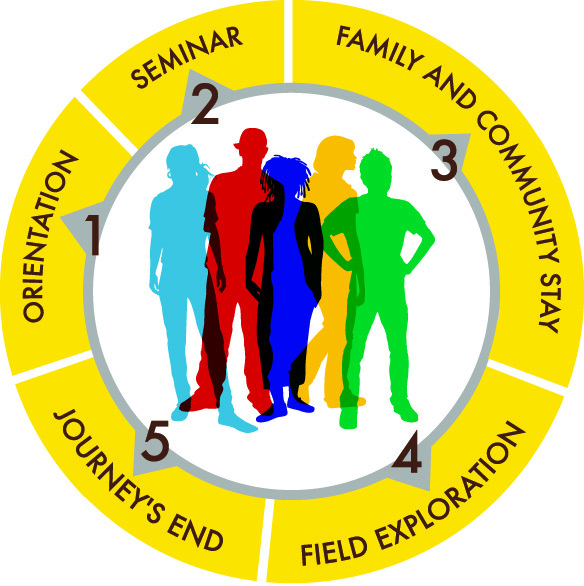 Field-Based Exploration – Each Field-Based Exploration activity will pursue the program themes introduced during The Seminar, turning knowledge into practice. Activities may include service projects, archeological digs, internships, arts and music programs, theater performance, ecological projects, and visits to significant cultural and historical sites. Journey’s End – Reflect on lessons learned, skills developed and issues explored with your group. Discuss and write about strategies of bringing this knowledge home to share with your friends, future Corps members, and your community.